This knitting kit produces a cosy but stylish scarf using the fantastically blended colours of Caramella from Italian yarn manufacturer, Mondial. 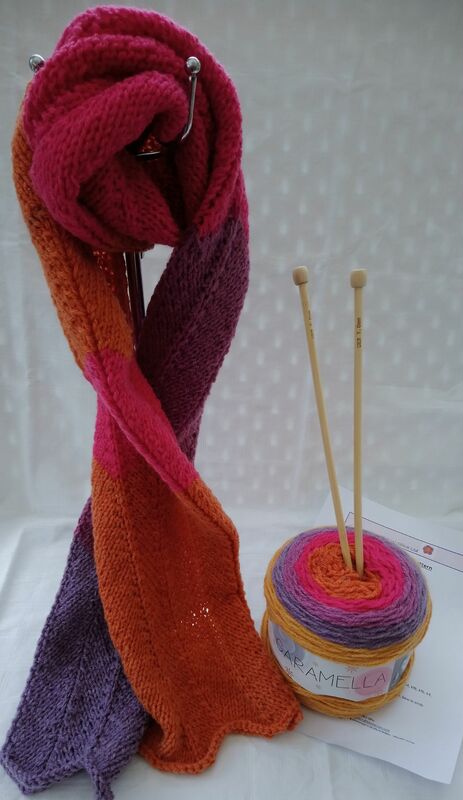 The kit contains a yarn cake of Caramella, luxury bamboo knitting needles and the pattern. Available in a large number of shades.